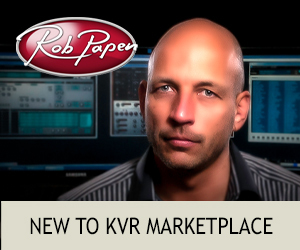 Hello and welcome to the KVR Mix Challenge 10 - May 2015. This month's challenge is a special shout out to KVR Audio's own "One Synth Challenge" community. Thank you for keeping the game alive and providing excellent music content for over 5+ years. Maybe the KVR Audio "Music/Song Cafe Contest" will also work with us in the future. This would bind out community even more together. Please keep up the good work. And let us celebrate the "challenges". This is the introduction post, where we link directly to the challenge corresponding files (source files, submission information, sponsors), start of the evaluation process and maybe even the first post for resubmissions. Last edited by Compyfox on Tue Jun 09, 2015 5:32 pm, edited 6 times in total. H-Man wrote: Maybe this track should have been titled "The thing that should not be?" A Metal / Heavy Rock track made with U-he's new SuperSaw EDM synth, Hive, as part of KVR One Synth Challenge 71. However, like many of my tracks for the One Synth Challenge, not enough time was given to the mixing which is now why I am ecstatic that this track has been selected for the KVR Mix Challenge. Smoke 'em Out - 192 Bpm in the key of ROCK! There are 50 tracks which may seem high but remember nearly all sounds are layered in up to four parts. I have removed my group tracks and busses so that you, the mix engineer, may start with the basic building blocks for the various instruments. The goal is to combine the elements to create the desired sounds for the instruments with an emphasis on realism for the drums, guitars and bass in particular. The rest I will leave up to you. Style note: Simply, the track was created to "blow peoples hair back". Your goal should be to achieve punch and power alongside the clarity that I feel eluded me in places. Everything is possible - this is not limited to the "One Synth Challenge" rules of only using synth built-in FX anymore. Get inventive with the material. Staff wrote: Once more, this track can go several routes. For example, a pure "synth rock" approach, with emphasis on the pads and the synth guitars. Then there is the "trip hop" approach, with focus on the beat and the arpeggiated sounds. And finally, the "modern mix" approach, where the sky is the limit without deviating too much from the source material. A hint from our side is to first sort and put the tracks into subfolders in your project to get a better overview in terms of what is going on. We then advise to first take a look at the beat section, as this is a driving element of the whole track. The next focus should be the synth guitars. Try to get them right, then everything else falls to place. Don't be afraid to use heavy EQing to blend the layers together. Another tip is to maybe take a listen to old Amiga "Demo Tracks" form the 80ies and 90ies to get a grasp of synth rock. But most important - listen to what the client provided, and then add your own twist to elevate the track into new heights. Please also consult the TXT files that are bundled in the source files package below. There you can find more information about the individual files and changes to the time signature. The provided files were packed as ZIP with LZMA compression. Note: All licenses are NFR (Not-For-Resale), except where noted. Changes to available prices on short notice may be possible and will be announced separately. 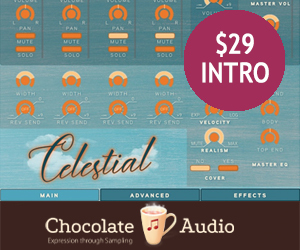 Acon Digital is kind enough give away a single plugin of winner's choice. IK Multimedia is kind enough to donate any one plugin of their T-Racks Singles range. Winner's choice. Metric Halo will give away a single plugin of winner's choice. Tone2 is kind enough to donate either a bundle consisting of AkustiX Enhancer and WarmVerb, or a license of Ultraspace to the winner. And also a thank you to all former contributors as well. If you want to sponsor content (please have a focus on mix plugins, bundles and the likes), please get in touch with the headmaster of the competition. Awesome track. This is gonna be interesting. Good luck to all contestants. Can you please provide dry tracks ? I find the reverb on the tracks pretty awfull. These tracks are right out of HIVE, it's from the OSC#71. And this is also part of the Mix Challenge - work with what you get. This is new... a bit over a week left for mixing and no entry so far. Did we break the challenge? I pause this MC. This is nothing for me. well. I don't understand why there are two MCs in parallel. guess most of us are hobbyists doing this mixes in our spare time. and spare time is rare. and a song with 50 tracks needs time even if you figured out that 1/3 are redundant. I'm working on it, but as mixedmin said a project that big needs time and if I manage to finish on time, it will be close to the deadline. Ok, here comes the first entry! I was surprised to see a track from the OSC. This gives me the first time the chance to mix a song I allready know fom the OSC. And it is a very nice one! It was interessting to hear how the raw-tracks do sound. Especially the drum sounds, which are most of the time not so great as raw sound out of the synth. Hive has a lot of FX, so the sounds are not so raw as out of other synths. Nevertheless, some sounds needed some help to become more powerfull. Reverbs: U-he’s Uhbik-A for Drums, Tone2’s Ultraspace for long reverbs. 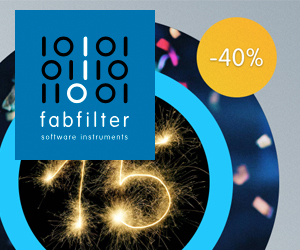 Mixed in Ableton Suite 9.1 only with Ableton stock fx plugins. Reverb used mainly for colouring and adding depth. For EQ I frequently used low and high cut on the instruments. Utility is used for controlling stereo width and adding more volume. Workflow: I made submixes for drums, bass, guitars and so on. Then I made a final session with 20 stems for final mixing. Done in Tracktion 6, I spent the most time with slight volume automations trying to make it exciting. I really wish I had some type of actual faders for this one. Besides the drum buss and a few of the leads, I didn't feel the need for a ton of compression or EQ. Compared to the original I just wanted it a little bit clearer and bigger sounding. I tend to not like huge kick drums, but in this song I felt the boost was warranted. Main plugins used were Satson CM (on everything), mpressor, Overtone AF2-10, TB Barricade (on the drum buss in that order). I compressed the 2-buss 1.5db with the elysia alpha compressor to make things pop, followed by some SPL Passeq to add some air and tighten the low end. Compyfox wrote: This is new... a bit over a week left for mixing and no entry so far. Hopefully not, I have enjoyed the last two and hope it continues to go monthly. It's been cool being able to mix new stuff and compare it with others. Will try to make time for it, sure, love mixing competitions! 2 more days to go. Why the absolute need of so many tracks? I bet that some could have been groped together... call me picky but honestly I'm a bit annoyed by this. good luck and have fun guys!